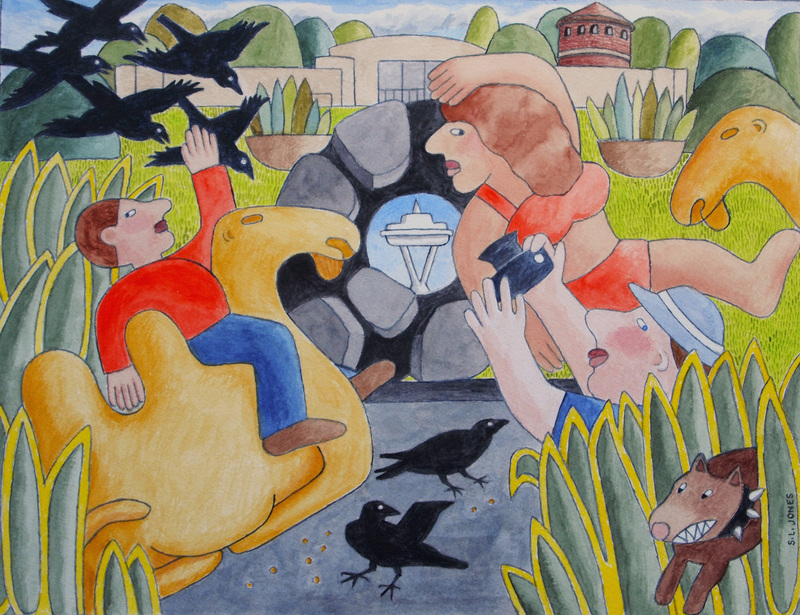 As a child, the Seattle Art Museum was like a second home for me. I was even fortunate enough to be able to take art art lessons for children taught by Dr. Fuller, the director of the Seattle Art Museum, in the early 1950’s. 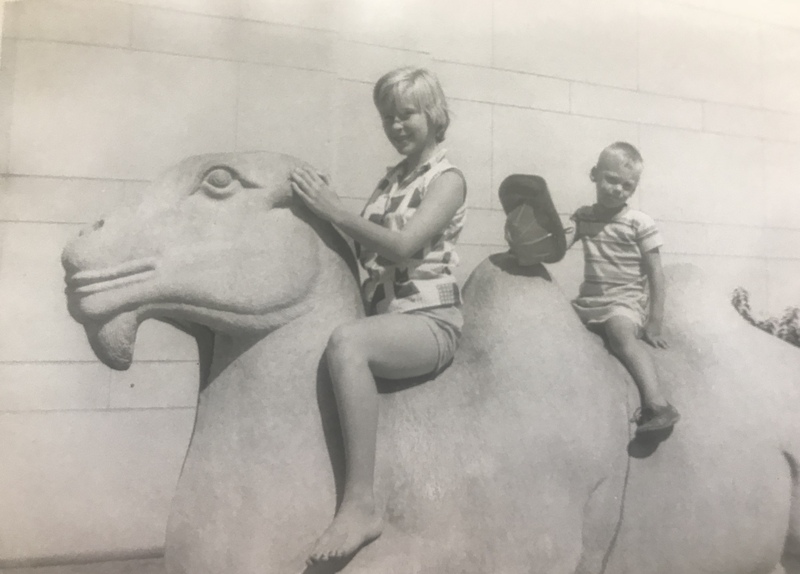 I loved to climb all over the camels and the rams. Today, I use those vivid childhood memories in my painting. The top photo shows my Grandmother, Margaret Dodds on the left and my Mom, Mollie Dodds on the right in 1947. 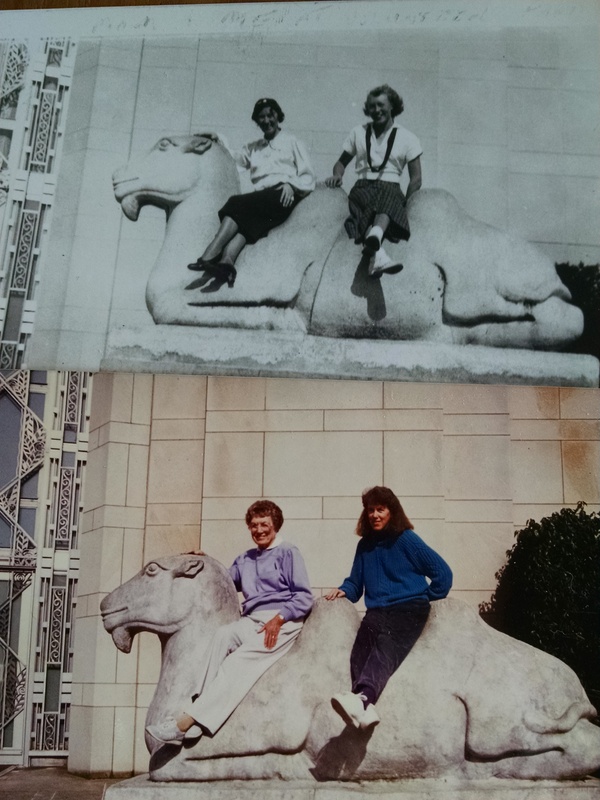 In the bottom photo my Mom and I recreated the poses in the 1980’s! 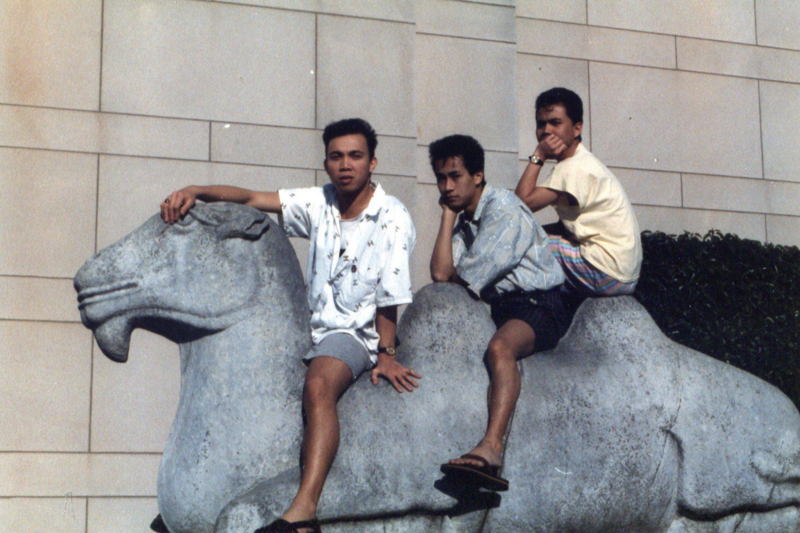 Photo of myself & my two best friends from 1984. Volunteer Park was our playground & SAM was my first museum. Taking George (8 months old) for his first ride on a camel. 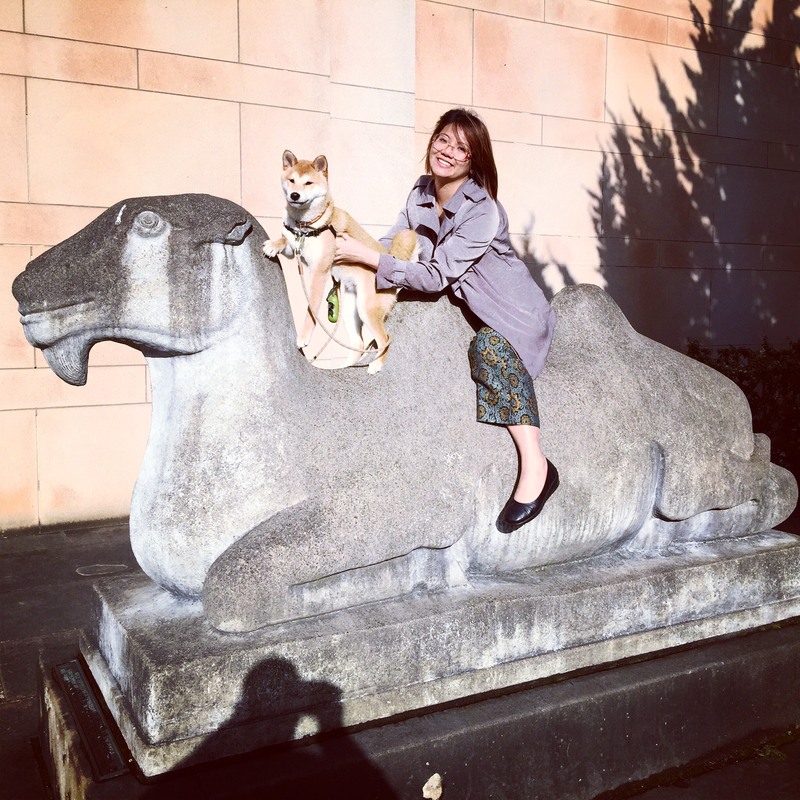 Every visit to Volunteer Park or the museum included a camel ride. Here, my brother and I are intrepid travelers braving the arid wastes. One of my most vivid SAM memories is being taken to see the movie “Alice in Wonderland” — not the animated version, but with actors— Cary Grant and WC Fields. I was about three, and had never seen a movie before. I was terrified and had to be taken home. And about thirty years later falling in love with Bartok at the Sunday afternoon chamber concerts. 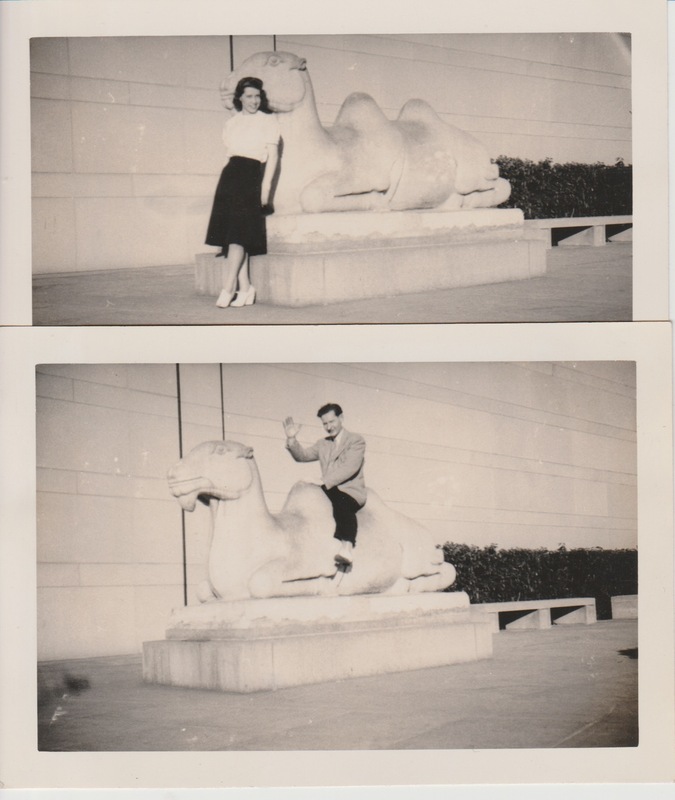 My parents, Thelma and Frank Galvin, on honeymoon the day after their wedding, June 23, 1940. 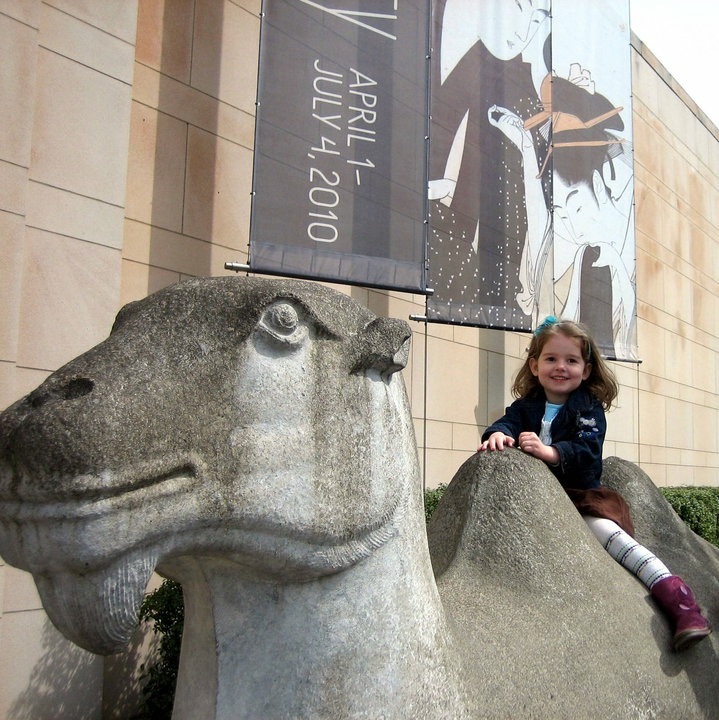 I have a dim, flickering memory of this visit to the museum. It was 1955, and I was about 3 1/2. As always, my mom faced me right into the sun, so I was squinting. 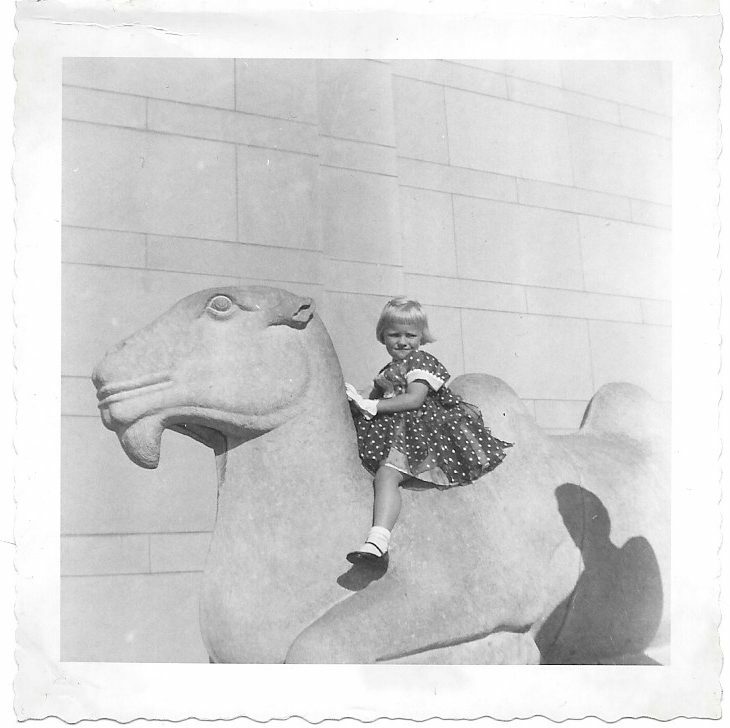 Glad to be one of many, many generations to be photographed astride the camels!